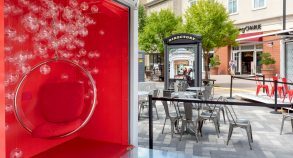 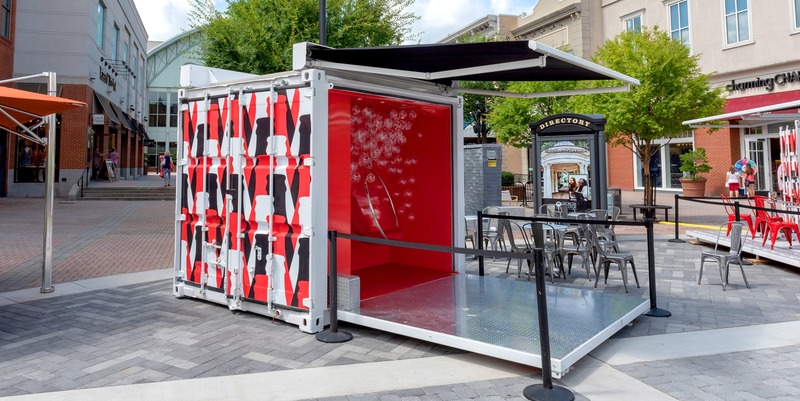 Coca-Cola worked with Steel Space Concepts to create two unique and original modified container units for their legendary drink: a mobile Coca-Cola bar and a trendy photo booth. 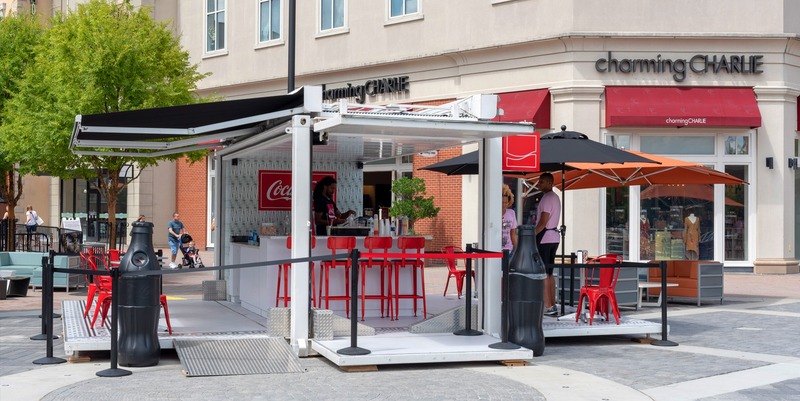 An SS20 unit was used to build a mobile bar where visitors could explore all the ways they can enjoy cocktails made with Coke. 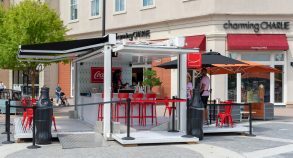 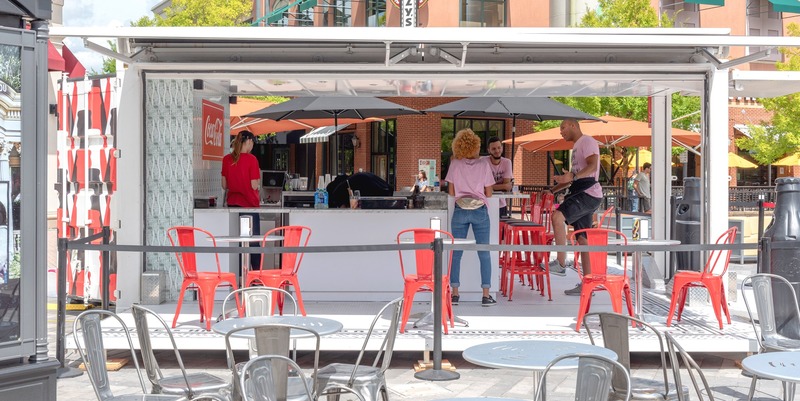 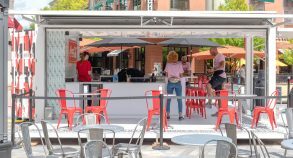 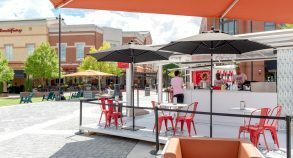 The sleek and modern unit was fully furnished with tables, chairs, umbrellas and a bistro area where visitors could take a break and enjoy a refreshing Coca-Cola drink. 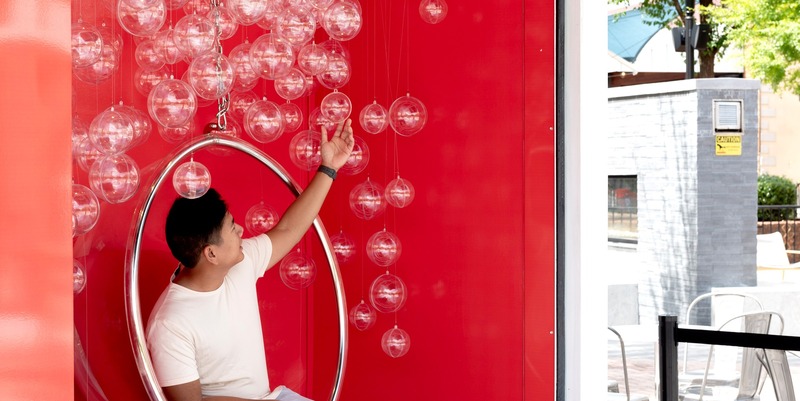 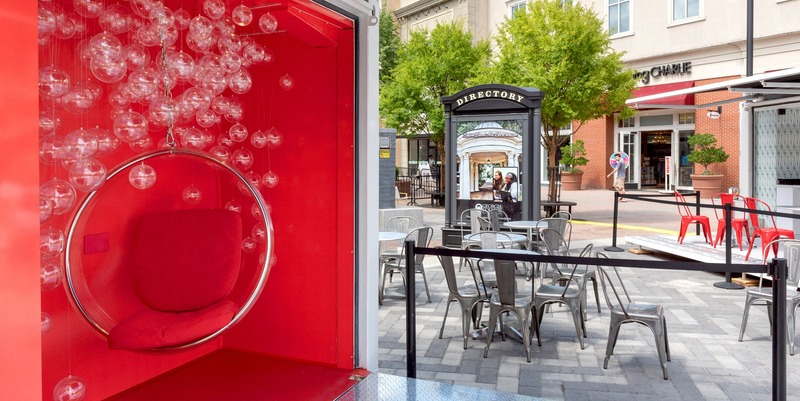 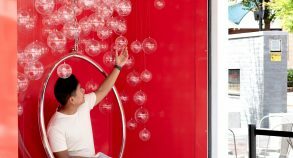 An SS10 unit was also transformed into a fashion photo booth with a suspended spherical chair and 3D bubbles in connection with the drink’s bubbles. 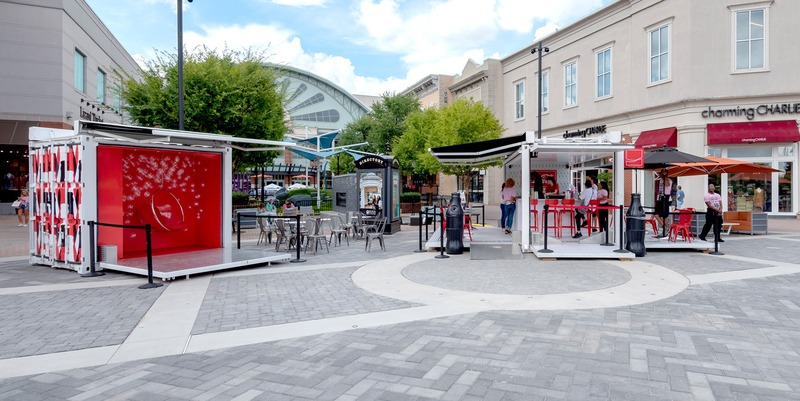 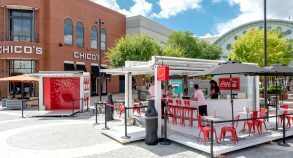 The units were setup in a public place in Buford, Atlanta, to invite passersby to stop, relax and have a refreshing drink. 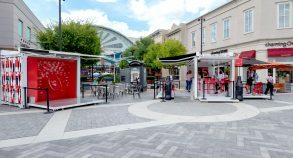 Setting up their converted containers in such a location let Coca-Cola enjoy free visitor traffic. 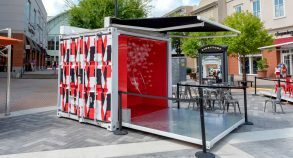 Pop-up bars are a great way to create hype around a brand. 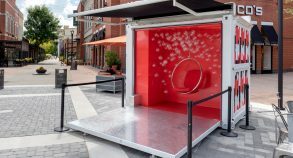 The photo booth was a great solution to prompt clients to share their experience on social media and create a buzz around the brand online. 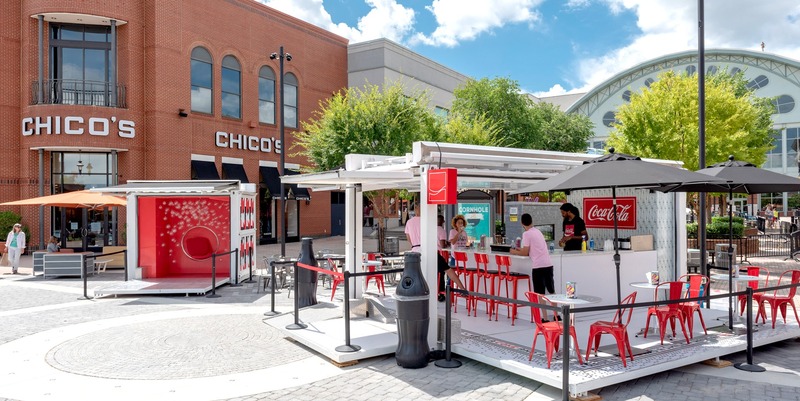 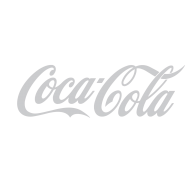 This campaign allowed the business to interact with customers in person and to educate visitors on all the ways they can enjoy Coke.